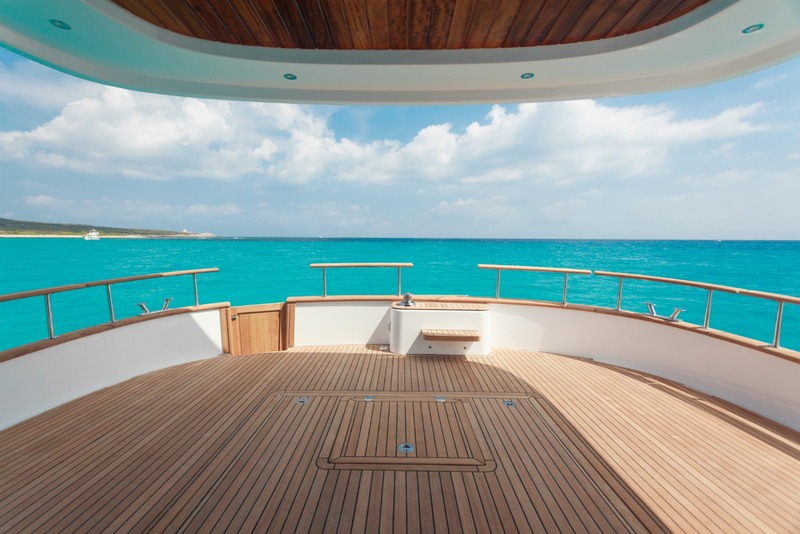 The Islander 54 Flybridge offers an elegant vantage point to discover the many picturesque harbors of the world. 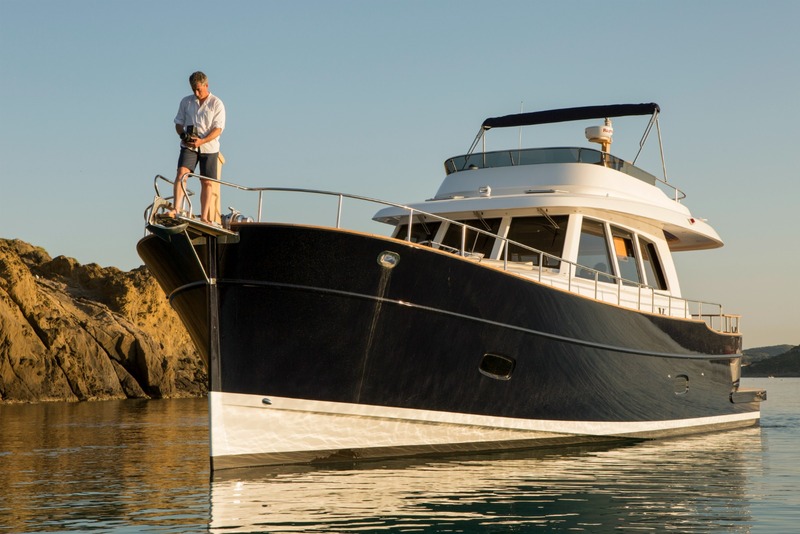 Minorca’s Islander 54 hardtop and flybridge model will provide cruising comfort for those just starting to explore their boating dreams, as well as satisfy the needs of the seasoned yachtsman. 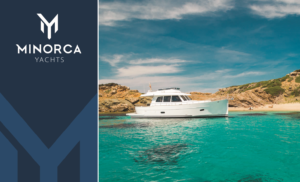 Inspired from traditional Spanish fishing llaüts, the 54 hardtop and flybridge model features a very rounded stern and wide beam, carried almost the entire length of the hull, resulting in enormous interior space and strong sea keeping capability. 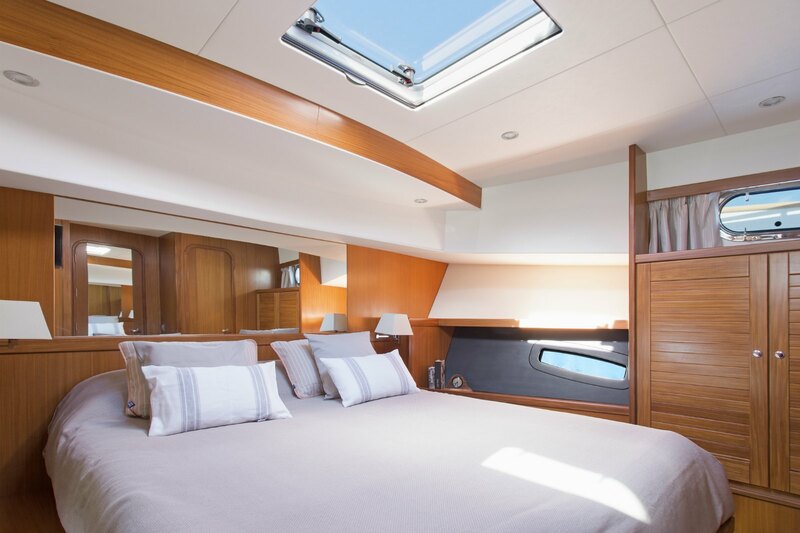 A flexible interior layout and ‘walk-around’ access to generous fore and aft-deck spaces and large swim-platforms complete the concept. 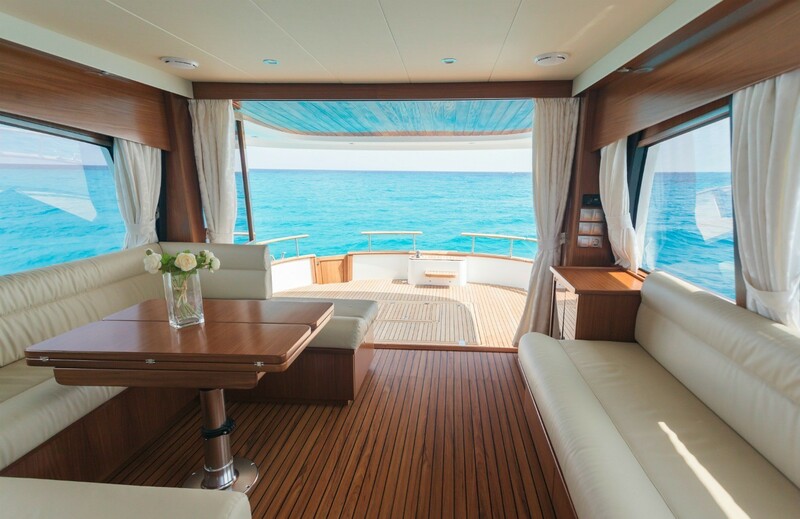 The 54 features accommodations for 6 people in 3 spacious cabins, plus a steward / skipper’s cabin at the bow. This three stateroom, three head layout, including a full-beam master stateroom and ensuite bathroom, make this model a standout in her class. No other builder offers such caliber of comfort and quality in this size range. 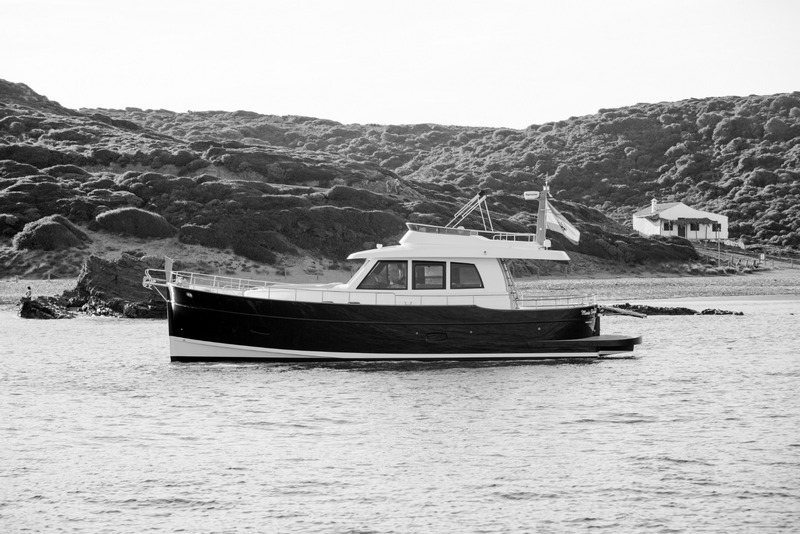 An innovative, seafaring design makes the 54 perfectly equipped to handle long crossings while satisfying those seeking a great degree of comfort during extended cruising. 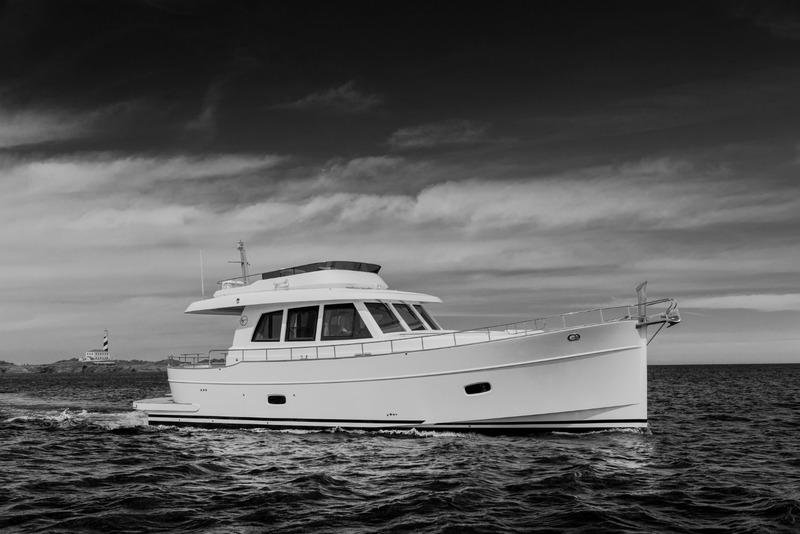 The flybridge model is ideal for those seeking a more outdoor yachting experience. Performing well at displacement or planing speeds, cruising between 12 to 18 knots can be easily achieved via twin Cummins 260hp engines. Noise and vibration have been kept to the bare minimum. Advanced navigational features such as thrusters and gyro-stabilizers can be specified as optional extras.